Let’s take a look at a few green cards from series 2! Green in series 2 is mostly focused on the Android Cell Saga! 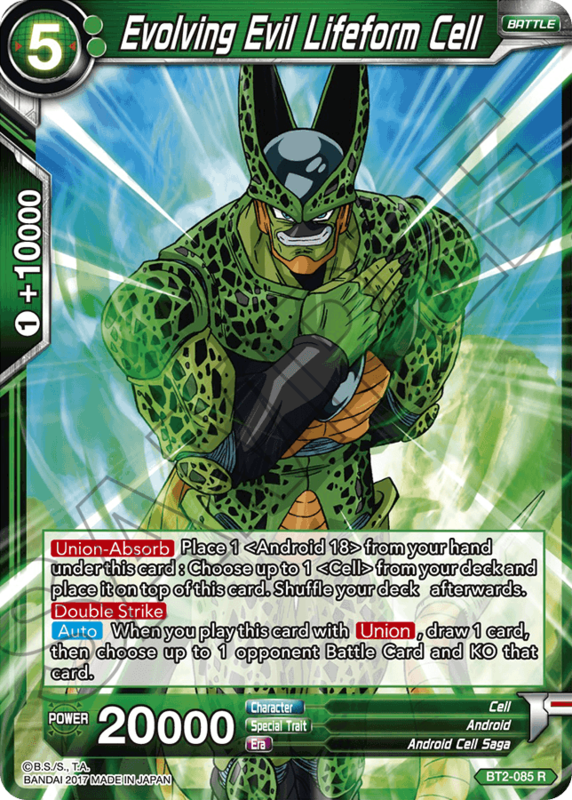 Cell absorbs cards that stay beneath him for the rest of the game! 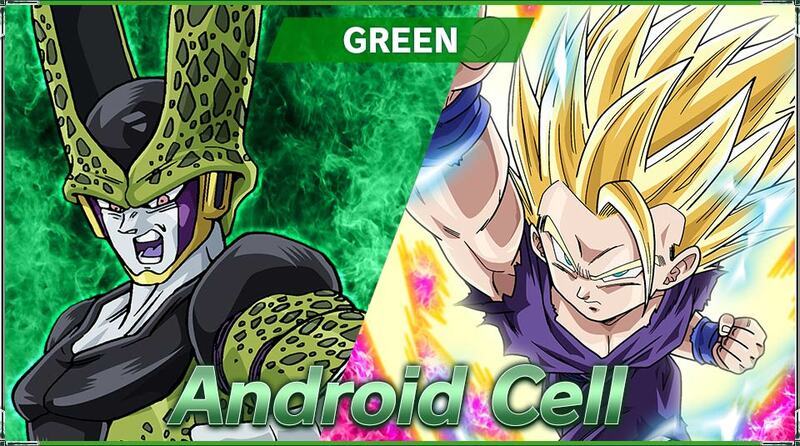 Use those cards to activate Cell’s skills! 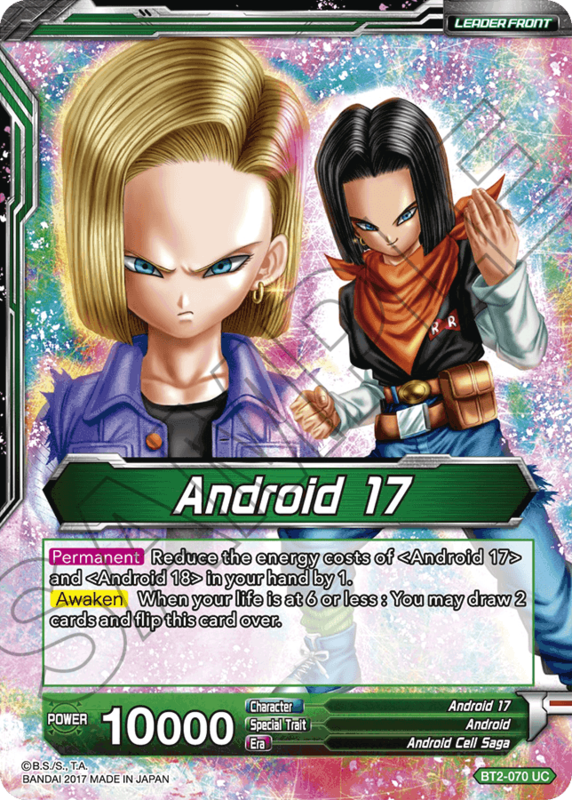 The Androids make a huge showing in green, and if you plan on building a deck around them, this Leader is a must-have! Unlike other cards, its Awakening activates when your life falls to 6 or less! 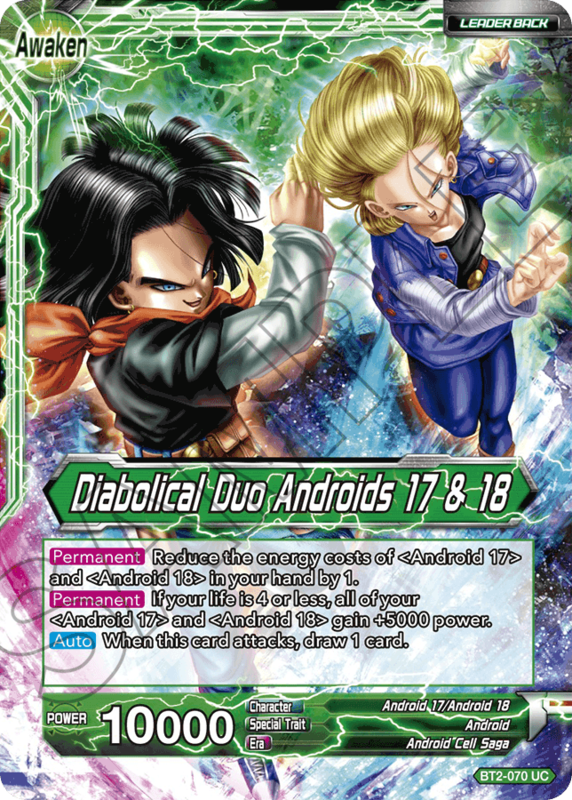 Pair Androids 17 and 18 to create a truly diabolical duo! 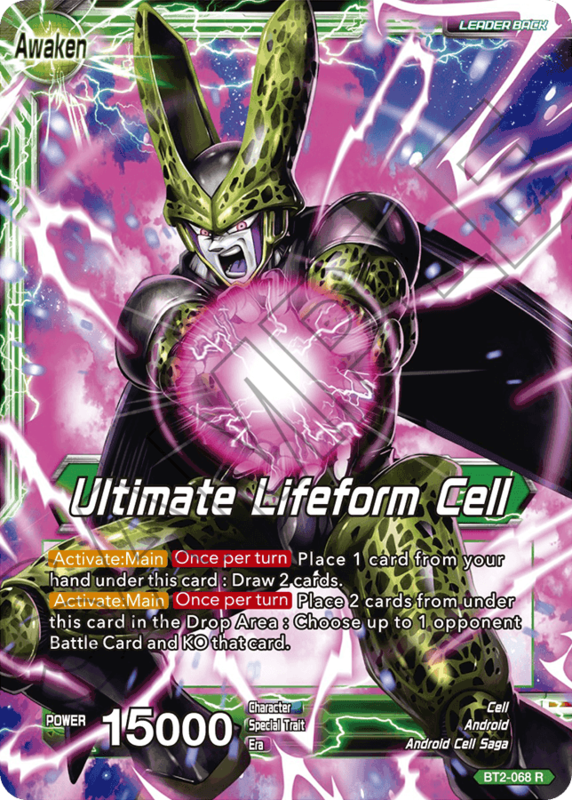 With the new keyword skill Union-Absorb, this card is essential for quickly evolving into Perfect Cell! Tien has a special skill that lets you play him after a Combo! And with a skill that allows you to manipulate your life cards, he’s an expert at setting up elaborate card combos! 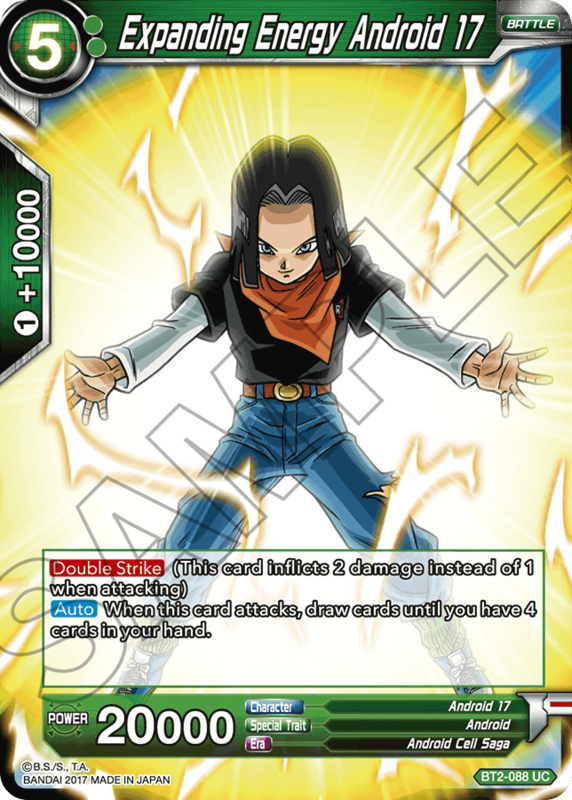 Android 17 lets you draw until you have 4 cards in your hand every time he attacks – essential for keeping the pressure going in the late game! 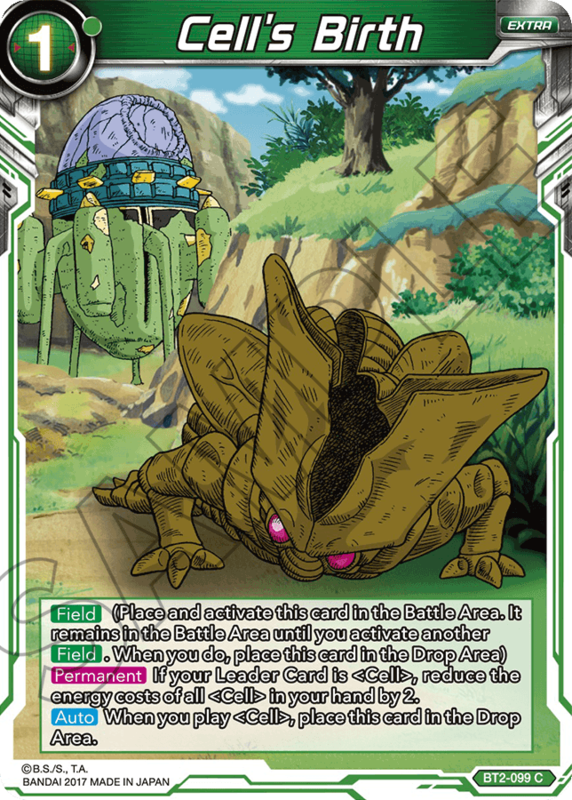 If you’re playing a Cell deck, you need this card! 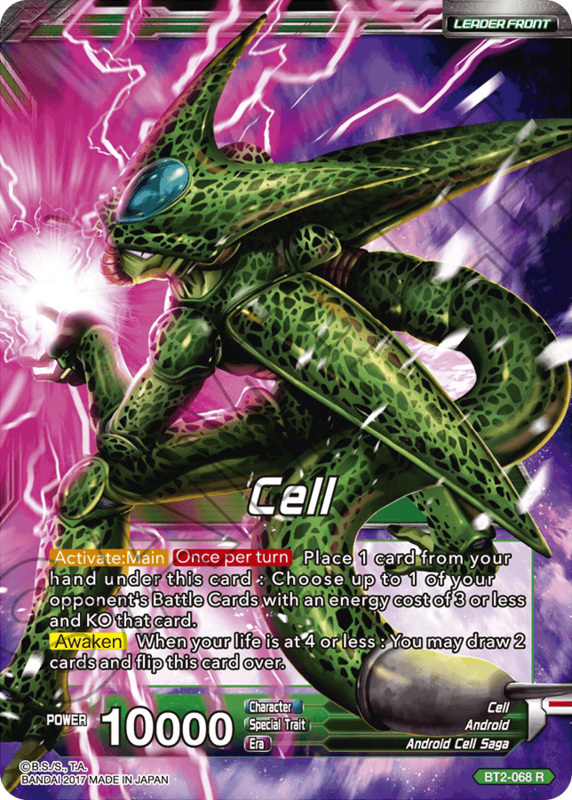 While it’s not reusable, Cell’s Birth allows you to quickly ramp toward Cell Union combos! 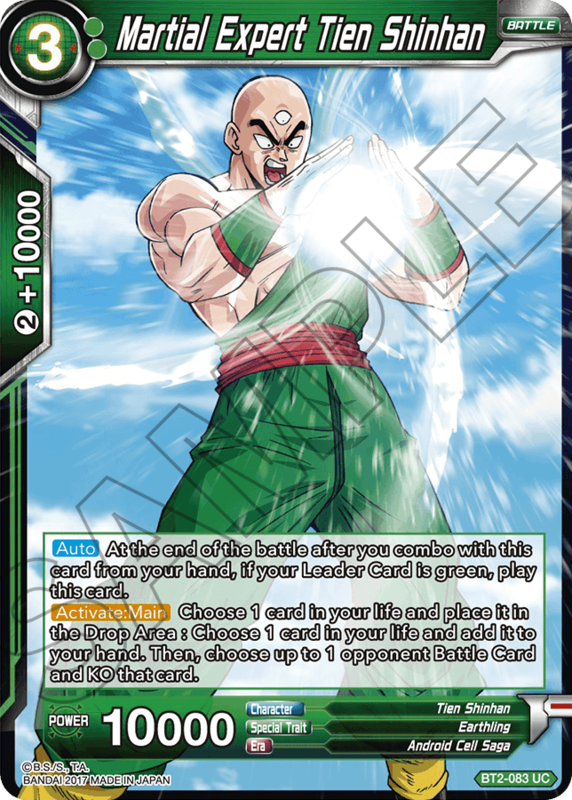 Look out for even more green cards including various Saiyans!